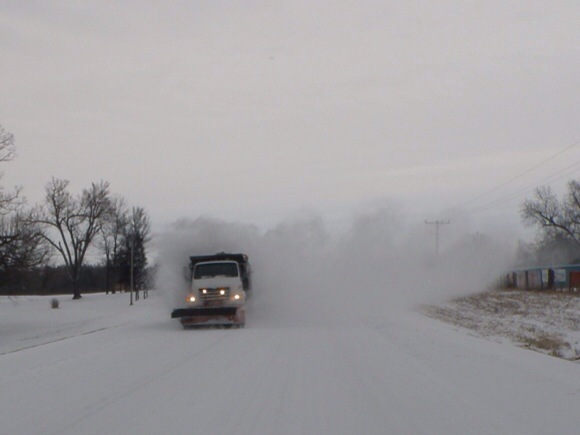 Crews from the Arkansas Highway Department were out early Monday, scraping away the snow and ice that fell Sunday and Sunday night. 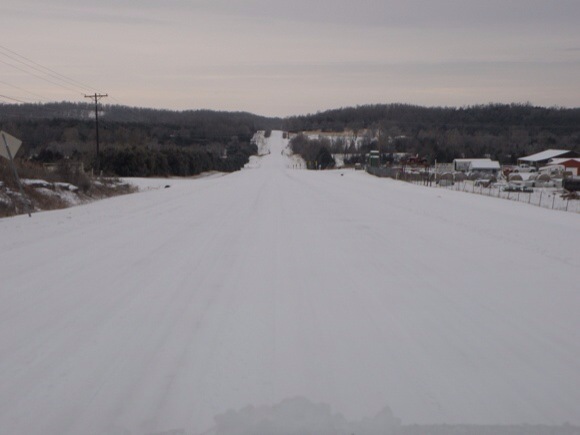 Despite efforts to clear the precipitation roadways remain covered across Lawrence County. 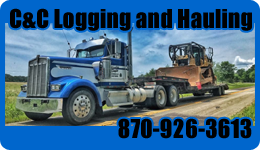 Lawrence County Deputies and Office Of Emergency Services were out today checking roads and updating the public via Facebook through out the day. Sheriff Dotson posted several photos on the Lawrence County Sheriff’s Facebook informing the public what the road conditions looked like. 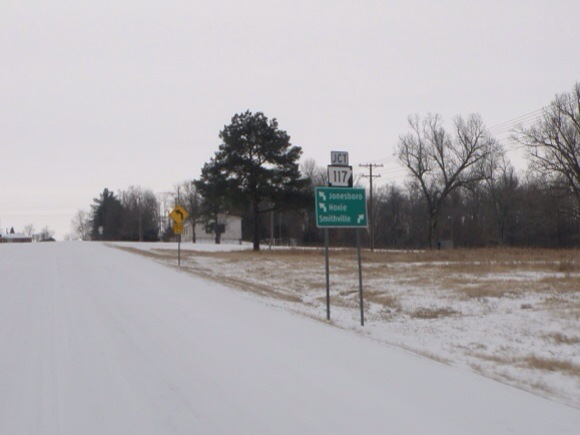 According to Sheriff Dotson, the majority of the highways are still covered in frozen sleet/snow. Although passable the highways still pose a danger and secondary roads have not seen any melting. 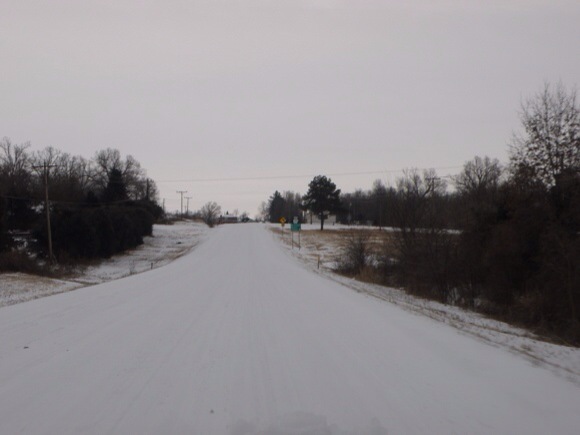 With temperatures not expected to be much above freezing on Tuesday, Dotson said he did not expect the roads to get much better. The Lawrence County of Emergency Services was also out covering the county, Hwy 67 and 63 are both still covered in ice and even city streets are hazardous at this time. Sheriff Dotson stated that Sunday there were several accidents caused by the covered roadways and an additional one today on Hwy 63. Heavy sleet accumulations have caused several buildings in the county to collapse, but according to Sheriff Dotson no injuries were reported. Local Fire Departments and EMS personnel have been busy as well with several calls reporting people falling on the ice and snow. Local schools in the county have all cancelled classes for Tuesday due to the hazardous roadways. 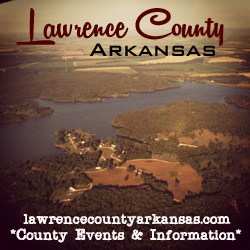 For more information on the Lawrence County Sheriff’s Office, visit www.lawrencecountysheriffsoffice.com or “Like” them on Facebook .